Seting d.o.o with you since 1991. 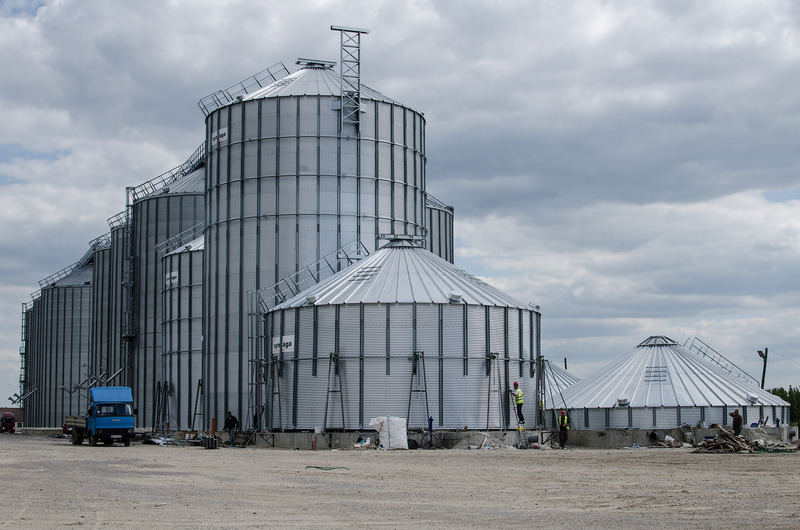 Metal silos type SCE, galvanized hopper silos. Drying is a process of removing humidity from these product to necessary level for proper storage. Horizontal countercurrent mixer for mixing powdered materials has its’ application in production processes that require high quality of mixing up materials. Hammer Mill is used for cereals grinding such as: corn, wheat, soy, barley, oats, rice, dried plants, soybean cake and others that belong to animal food. Elevators are used for vertical transportation of grain in silos. Parts of the elevator are: head, feet, pipes, carrier tape with buckets. Auger represents reliable device for transport of grainy and powdery materials. Chain conveyors are used for horizontal transport of grain cereals in bulk. Conveyor belt is a machine for cereal transport with a capacity from 60 t/h to 100 t/h. It is suitable for the transport of all kinds of cereals. They are being used for rough grain cleaning before drying, as well as for fine grain cleaning after drying. It is intended for unloading granular and bulk cargo from trucks and tractors with trailers. The construction of the platform consist of a metal construction and hydraulic system. Creating eaves, steel structures, elevator pillars, floor warehouse, in all dimensions with galvanized and painted surface protection. The development in machine manufacturing and silo equipment production. Overall coverage on the territory of Serbia, Croatian, Macedonia and Bosnia and Herzegovina. Better and faster construction for clients using vast practical experience, new technologies and the most advanced technological means. Providing full protection of customers and business partners interests. Constantly modernizing of both the technology as well as products. To ensure a steady growth of the Company . Constant training and providing for the basic interests of employees. Aim at implementing European business standards in making devices and machines for agriculture. Broadening our range of products. Increase the volume of production. Providing customers at home and abroad with the best personnel, equipment and services. Developing new distribution channels and marketing. Adjust internal processes in business. You have a question or suggestion? You would like to know more? Call us or send an e-mail!